"Five Stars. McBride found the right mix of spices ..."
"If what McBride was aiming at was audience friendly music, he got it, but perhaps more importantly he also got audience pleasing music. This is the kind of music you want to listen to and you’ll want to listen to it again and again." "Unlike some artists, McBride does not need to take out ad space or try and create a movement that had no chance of getting off the ground. Instead we find Christian McBride and Inside Straight pushing the music forward and allow us to become part of the band. Nice." This is the second release from jazz bassist Christian McBride and his hard-swinging acoustic quintet Inside Straight. 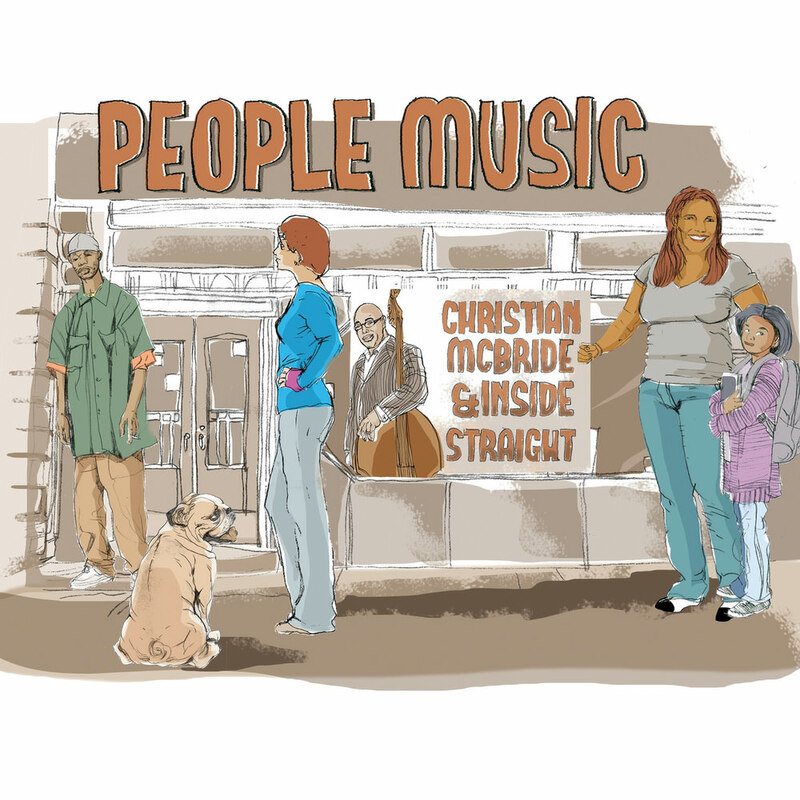 People Music delivers a more road tested, “lived-in” version of the band, able to dig deep while projecting that ebullient vigour that has become McBride’s trademark. The eight original tunes by McBride and his bandmates balance intense interplay with an exuberant personal expression that speaks directly to the listener. "People Music is my personal mantra as a musician. Sometimes jazz musicians can get too caught up in their own heads; they get so serious and so caught up in their creativity that they’re not bringing the people in. So I figure the best way to communicate is to let the people navigate where you should go."